Reading a well-written book. Railhead, by gentleman-author Phillip Reeve is just that. I had the privilege of talking to him about it before it was published. ‘Trains that travel through gates in space’ is a poor summary of the conversation, but it was enough to get me hooked. Reeve creates worlds that are unique. He doesn’t just take an idea that has already been around and tweak it, he plays with it, writes thousands of words that are then discarded, all so that he can create a world that the reader can inhabit as easily as they inhabit their own. The Mortal Engines series was one such world, taking the post-apocalyptic theme and turning it into one where mobile cities hunt each other across the remains of the planet earth, their inhabitants living pretty awful lives. Railhead however is something else. Yes, it has gates that people travel through to other worlds, and I’m sure that some of you will be thinking of Stargate or the NAME RPG, but that’s where the similarities end. Intelligent trains, humanity ruled over by near-omniscient AI, worlds full of vibrant life or devoid of everything, and the insect Hive Monks all blend into one amazing, fabulous even, universe that – science fiction aside – is totally believable. This is, I firmly believe, on a par with Dune, maybe even Lord of the Rings (and I swear I heard an Alerbraan-like scream echo across the universe then), yet written for adults and children alike. I don’t like to differentiate between children’s books, YA and books for adults as an adult myself, because well crafted books such as Pugs Of the Frozen North and Goblinz appeal to me just as much as Mortal Engines and Railhead do. 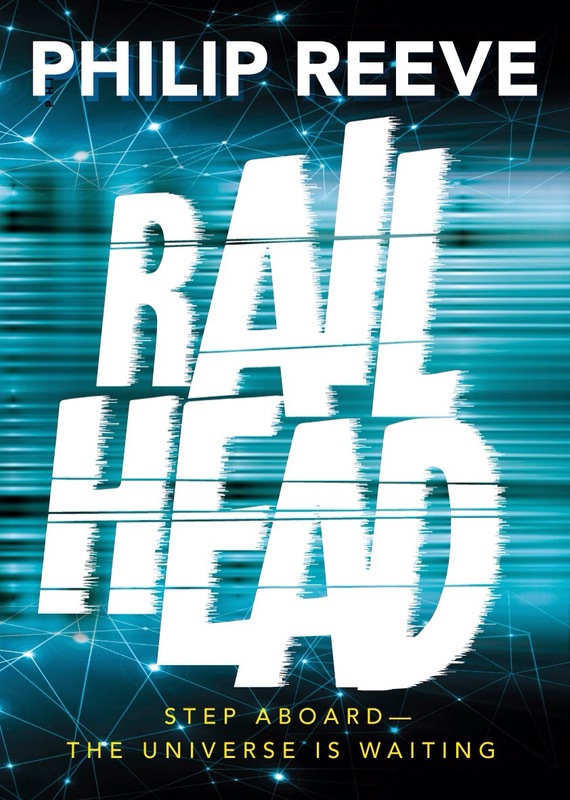 Railhead, crosses all of those genres. There’s romance, intrigue, a sensitive handling of gender issues, danger and violence, and all are written in such a way that this book defies being placed in a category. My only niggle is that it wasn’t longer. Oh, and another is that I now have to wait for the next book. Quite simply this is a five star book. If there were more stars, I’d add them. Buy the book, read it, and be prepared to take a first-class trip on the K-Bahn. « Blaise Maximillian is STILL in the top 100 on Amazon!